Peppa loves his family and now you can too! Get the new Peppa Pig Beautiful Villa Toy Set ! The figures are movable for realistic play. It’s always a fun time with Peppa Pig. 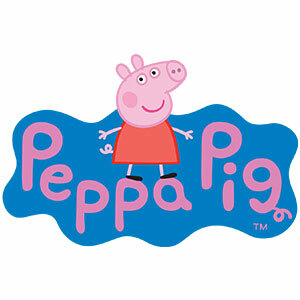 Peppa Pig is an energetic, lovable piggy who lives with her Mummy, Daddy, and little brother George. Peppa’s favourite things include playing games, dressing up and jumping in muddy puddles. Her adventures always end happily with loud snorts of laughter. Doors of house can be opened for a more exciting story telling.